Salads really don't need much of a 'how to' as such, all you simply need to do is grill some halloumi slices and the asparagus (or you can steam it). 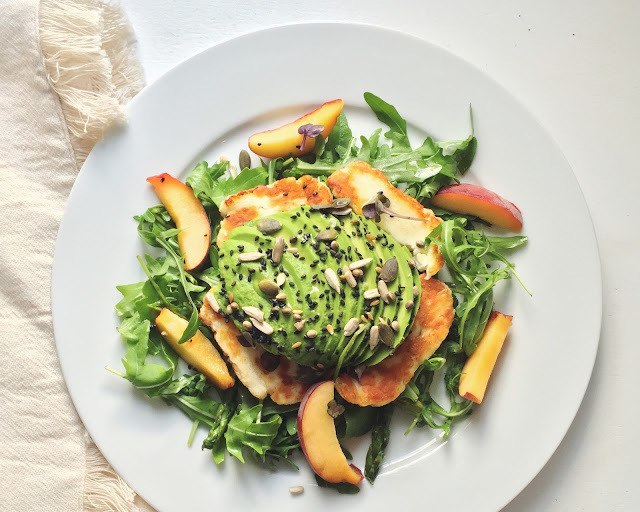 Slice up the peach and avocado and layer all the ingredients on top of a bed of rocket leaves. Drizzle over with some olive oil and a sprinkling of seeds to finish.